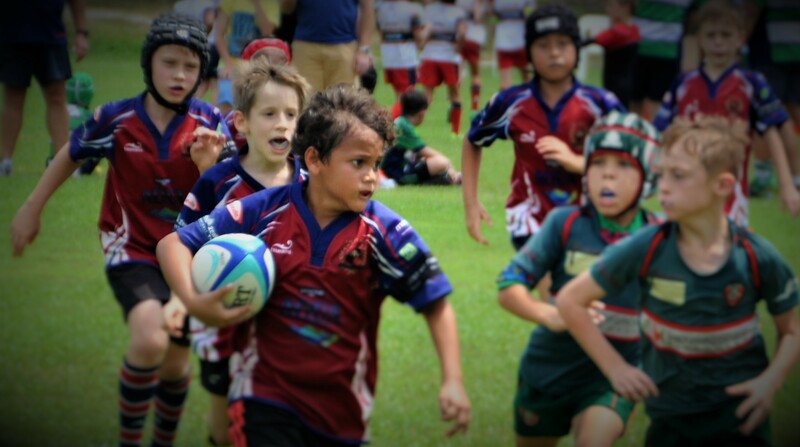 The Jakarta Komodos Rugby Football Club and the Indonesia junior rugby development programme are pleased to announce the launch of its new website to coincide with the beginning of the 2015/2016 rugby season. The Jakarta Komodos’ website has been designed to not only promote our rugby club and our community of dedicated players, parents, supporters and sponsors, but also the development of the sport in Jakarta, the Indonesian archipelago and the wider Southeast Asian region. The Komodos have been at the forefront of rugby in Indonesia for more than three decades, and today boasts a Senior Team that is unmatched in Indonesia, a team of Veterans and an extensive youth programme involving in excess of 60 age-grade players from the Under 16s down to Under 7s. In addition, we have a large rugby outreach programme, which includes a team of young women from the Mama Sayang Orphanage and a dedicated group of boys from schools near our team grounds at Jagorawi, Jakarta. The young women and boys are an integral part of our club and will this season feature in our teams traveling abroad to regional rugby competitions in Singapore, Malaysia and Thailand. This is a highlight for not only our club, but for our players who have never travelled abroad before. The Komodos welcome players of any ability, age, gender or cultural background with only two conditions – that you want give it all on the rugby field and that you join the community of rugby supporters committed to developing the game globally. We would also like to acknowledge our sponsors, without whom none of the above would have been possible. These include mining services company Britmindo, Aphrodite Group and Fez sports bar and restaurant in South Jakarta, Robert Walters recruitment, multinational engineering and related consultancy services company Beca Indonesia, Sports Turf Solutions and Danone, known in Indonesia for its Mizone and iconic Aqua brands. As well as Jones Lang LaSalle Incorporated (JLL), a professional services and investment management company specializing in real estate, Kontrol Indo Raya, an engineering consultancy based in Indonesia, security company G4S, the New Zealand International School and DHL, which specialises in international express deliveries, global freight forwarding, warehousing, mail deliveries worldwide and other customized logistics services. In addition, we would also like to acknowledge the support of Elders Indonesia President Director Richard Slaney, and Crown Relocation Services, one of the principal sponsors of the Komodos Jakarta 10s Rugby Tournament. For more information about joining our club or for invaluable sponsorship opportunities please contact the Chairman by using the form below.